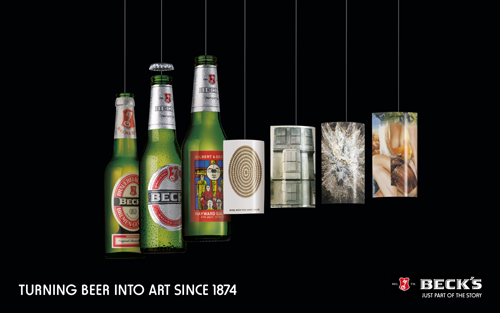 Beck's are celebrating 25 years of their iconic art labels - the symbol of independent thinking since 1874. This was the year that saw Becks break convention by packaging their beer in a green bottle instead of the standard brown. As part of the celebrations 'The Becks Art Crawl' will see eight designs by eight legendary artists, including Tracey Emin and Jeff Koons displayed for all to see in eight of the coolest East London Pubs. 'Like' Beck's on Facebook to see their legendary designs and discover the locations of the pubs, then 'Check-in' to each bar for your chance to WIN a limited edition print or bottle of Beck's! Sounds like a good idea to us!